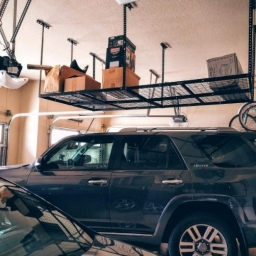 Home Fleximounts Blog Do You Need A Motorized Garage Rack? 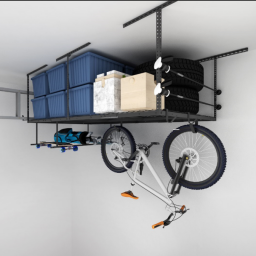 Fleximounts just launched HandyJack™, the world’s first motorized garage storage rack. And we are happy to let you know that there are a pre-launch guaranteed price offer of only $269.99. We are also offering an opportunity for 3 of the first 50 people that sign up to win a HandyJack™ during pre-launch(the deadline is Nov.19th). 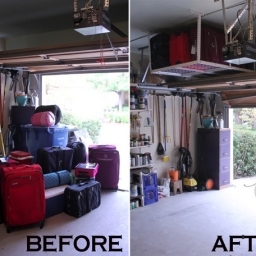 HandyJack™ offers a bold, secure, and efficient solution to your garage organization. 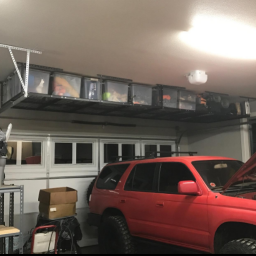 The motorized storage rack is a vertically ascending storage space that will allow you to safely and easily store heavy objects without forcing you to climb a ladder. 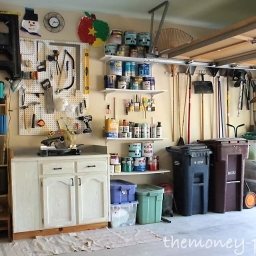 This totally minimizes the appearance of disorganized, unsafe, and unpleasant garage storage spaces, which are common in many garages. 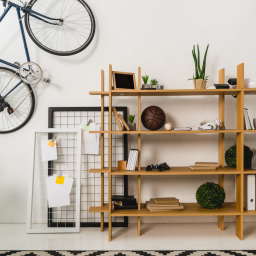 So decorate, declutter, and renovate your garage with this durable storage rack. 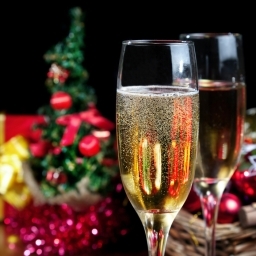 HandyJack™ offers these following benefits as well. No Ladder and No Heavy Lifting Required: If we consider ladder injury statistics, we find that according to the AAOS, there are 500,000 individuals suffer ladder-related injuries every year, and 97 percent of them take place at home or farms. In addition, the Bureau of Labor Statistics reports that about 50% of all ladder-related injuries occurred when people were carrying items at the time of climbing a ladder. The most crucial benefit of the device is to have easy and quick access to storage objects, as with the press of a button it can raise and lower your wall shelving. 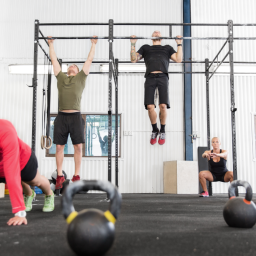 There is no need to use any ladder and you don’t have to lift heavy objects. By reducing the hazards of ladders, you can quickly and easily have access to your items. So HandyJack™ eliminates the use of a ladder or any other heavy lifting ensuring personal protection from possible accidents. With the press of a switch, HandyJack™ lifts and lowers easily. 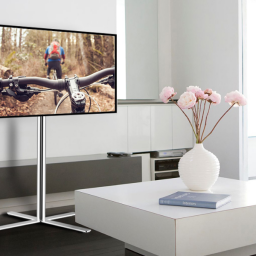 Users don’t need to stay close by, as is required with other models. All of your storage products, such as decoration, hobby-gear, and keepsakes can be raised and lowered conveniently and safely. A Trendy, and Effortless Home Storage Solution: HandyJack™ is the best option for anybody who desires to have a convenient storage space solution. 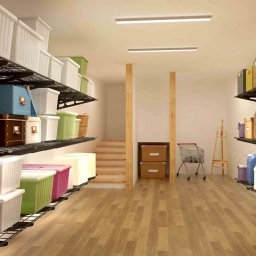 It maximizes storage room for anybody looking for a safe, stylish, and convenient home storage solution. Equipped with a high-quality motor, HandyJack™ can move up and down easily by keeping storage things tidy and safely in place during the transition. 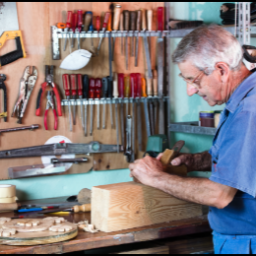 With just a couple of parts and screws to assemble, HandyJack™ shelving can be set up within a few minutes. The motor-driven storage lift is able to sustain heavy weight on its platform, is really easy to install, and is able to lock at any height needed. Durable & Top-Quality Construction: HandyJack™ is made from durable, heavy gauge metal, contains quality hardware, and high-quality parts that have undergone meticulous assessment for basic safety and long-lasting quality. HandyJack™ is a great space saver. 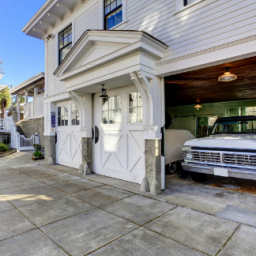 It generates additional garage floor space for more productive activities and there will be no clutter in your garage. 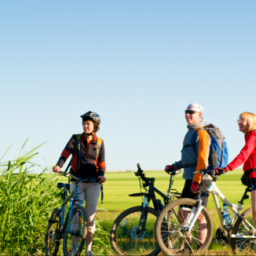 So you can put boxes and other storage items neatly and easily stored away from walking areas. From heavy pallets to small components and packages, this motor-driven rack can strengthen your storage facilities for operational efficiency by maximizing your garage storage space and increasing the performance of your workers. So please sign up to win a HandyJack™ so you can reap all the benefits of this product right away.